The House of Commons Foreign Affairs Committee has recently initiated a formal inquiry into the implementation of the Sino-British Joint Declaration. The inquiry will focus on the constitutionality of the Hong Kong Government’s proposed electoral reforms and its compliance with international law obligations. As the biblical saying goes: ‘faith , if good deeds do not go with it, is quite dead’ (James 2:17). Likewise, assurances, if good policies do not go with it, are quite dead. China’s commitment to the Joint Declaration and ‘one country, two systems’ is to be analysed not by its words, but its actions – especially in relation to fundamental rights and freedoms (contrast William Hague’s reliance on ‘explicit’ assurances in the latest Six-Monthly Report). On 15 July, the Hong Kong government submitted a consultation report to the Central People’s Government, citing ‘mainstream opinion’ as accepting that the Chief Executive should be a person who loves and obeys the country, and so a nominating committee in accordance with Article 45 of the Basic Law is necessary to screen out disagreeable candidates. The nominating committee’s power determines who can stand in the election and cannot be undermined. This mirrors statements made by Zhang Xiaoming, Director of the Liaison Office of the Central People’s Government, last September and again on 7 August. Little to no mention was made of the option of civic nomination, where the electorate of Hong Kong is empowered to choose the candidates for the post of Chief Executive, in the consultation report. As Professor Simon Young noted, the report leaves little hope of a genuinely democratic solution. The advice tendered by the Hong Kong Government to Beijing is effectively that a nominating committee, which will screen candidates, is the only legal solution and cannot be circumvented. The burial rites for civic nomination seem imminent, pending a formal decision of the Standing Committee of the National People’s Congress later this month. In an article in the Wall Street Journal, Chief Secretary Carrie Lam went so far as to say that universal suffrage ‘was not part of the Sino British Joint Declaration’ anyway. If so, the pan-democrats’ demands become a hopeless political squabble with no legal basis. But is this really just a political question? Hong Kong’s proposed electoral reform places it at the threshold of Chinese history – it is the second time since 1989 to see major calls for democracy reach the Central People’s Government. There is a crucial difference though. This time, the demanded reforms are not nation-wide, but only for one city – Hong Kong. More importantly, while past demands were purely political, democracy in Hong Kong is legally mandated by the Basic Law and the Sino-British Joint Declaration – the law as approved by Beijing is on the side of democracy. Could Hong Kong make a modest, localised breakthrough under the law’s aegis? Most people still perceive this as a purely political debate, in a titanic tug-of-war between the law and the pan-democrats’ political group. Chief Secretary Carrie Lam described pan-democrats as ‘refusing to return to the legal framework of the Basic Law or accept the political reality’, emphasising that ‘laws, especially those of a constitutional nature like the Basic Law… should never be freely interpreted or lightly abandoned’. In my view, this is a mischaracterisation that turns the entire constitutional question on its head. The Basic Law does not expressly require an electoral system that is limited by a significant risk of screening by a nominating committee. Rather, it mandates full and genuine democracy when construed properly – it is a question of law rather than politics. Like any other constitutional document, the Basic Law stands as the safeguard of the rule of law and democracy, when interpreted purposively as a whole and in the light of international law obligations. That the Basic Law and the rule of law is used as a trump card militating against a genuinely democratic arrangement should be viewed with suspicion. I agree with Professor Cora Chan’s earlier comment in this blog that the obstacle to introducing a system with civic nomination is Beijing’s political will. The political will, however, should ultimately be guided by constitutional law and international law. Even the most totalitarian regime knows the need to maintain the facade of legality, as demonstrated by Hitler’s coming to power in the 1930s, and now by the Hong Kong Government’s invocation of the Basic Law. The battle may take place in the political arena, but it is fought by the Government with law as its sword, and the constitution as its shield. It has misled the people, even law students, to believe that civic nomination is a political demand to be met by a far-fetched amendment to the Basic Law. That is simply not true – the Basic Law as it stands already enjoins a fully democratic procedure and can accommodate elements of civic nomination. If the aspiration for democracy is to be realised, the pan-democrats must clarify that the Basic Law and the rule of law is on their side, in order to help the general public understand that a genuine democratic arrangement is their constitutional entitlement. It is time to set the record straight, and in so doing remind both the public and Beijing that the Basic Law and the Sino-British Joint Declaration actually mandate a fully democratic election, consistent with international human rights law – this is not subject to the vagaries of political fiat. The role of the Foreign Affairs Committee inquiry is to reinforce this message by pointing out the unconstitutionality of the Government’s proposal, and its corresponding violation of the Sino-British Joint Declaration. The Hong Kong Government relies on the rule of law and the Basic Law to reject genuinely democratic methods of electing the Chief Executive in 2017. This position is untenable for two reasons: (1) protection of fundamental freedoms and democratic values is inherent in the rule of law; and (2) the Basic Law read as a whole requires a genuinely democratic procedure respecting international human rights standards. The first point can be briefly put. What the Government is adverting to is strict, literal compliance with the law and constitution – rule by law. The rule of law goes beyond that, for as Lord Bingham stressed in his posthumous monograph, ‘the rule of law requires that the law afford adequate protection of fundamental human rights. It is a good start for public authorities to observe the letter of the law, but not enough’ (see Tom Bingham, Rule of Law (Allen Lane 2010) p84). The rule of law serves to uphold, not to undermine, democratic rights and civil liberties. As is usual for constitutional instruments, it uses ample and general language. It is a living instrument intended to meet changing needs and circumstances. In line with these principles of construction, the Basic Law is a living instrument that meets changing needs. With almost 800,000 citizens calling for civic nomination in an unofficial referendum, the threat of civil disobedience, and aggravating polarisation of different camps, the circumstances in Hong Kong necessitate a genuine democratic arrangement that can restore confidence in the people and stability in the society. This does not involve doing any violence to the Basic Law’s text, but interpreting it holistically – in the light of other key provisions, the Sino-British Joint Declaration, and international law obligations. While Article 45 of the Basic Law provides for the nomination of candidates by a broadly representative nominating committee, the words ‘in accordance with democratic procedures’ are crucial and cannot possibly be superfluous. It indicates the purpose and context of the nomination procedure, which has to be part of a democratic procedure. A nominating committee which is unaccountable may be dominated by one political faction or another, thereby enabling them to screen out candidates from opposing factions. It is not a ‘democratic procedure’ even in the remotest sense, and is simply unconstitutional. This fact is borne out even more clearly when read together with other provisions. Article 25 of the Basic Law provides that ‘all Hong Kong residents shall be equal before the law’, and Article 26 emphatically enshrines every permanent resident’s ‘right to vote and the right to stand for election in accordance with law’. This means that every permanent resident should in principle have the equal right to stand for election. A nominating committee which could arbitrarily bar an eligible candidate violates his/her equal right to stand for election, and thus her right to equality before the law. The Basic Law could not have intended such a fundamental contradiction, especially since Article 45 is meant to give effect to Article 25. General Comment No. 25 makes it clear (paragraph 15) that ‘the effective implementation of the right and the opportunity to stand for elective office ensures that persons entitled to vote have a free choice of candidates’, and restrictions must not be by reason of political affiliation. Furthermore, ‘if a candidate is required to have a minimum number of supporters for nomination this requirement should be reasonable and not act as a barrier to candidacy’ (paragraph 17). The Government’s proposal risks presenting electors with a Hobson’s choice, in which candidates they support fail to get nominated, due to unwritten and unreasonable reasons hidden in the back of the mind of the nominating committee. This violates Article 25 of the ICCPR and Article 39 of the Basic Law, ignoring the Human Rights Committee’s exhortation in its Concluding Observations in 2013. The unconstitutional proposal puts China in a breach of the Sino-British Joint Declaration. Article 3(5) makes it clear that the rights and freedoms of persons will be ensured by law, and the equal right to vote and stand for election is a fundamental political right as implicitly acknowledged by the acceptance of the ICCPR by Hong Kong. Moreover, Article 3(2) guarantees a high degree of autonomy except in foreign and defence affairs – the Government’s proposal disables electors from freely directing the course of affairs falling within the scope of Hong Kong’s autonomy. This creates the undue risk of rendering the promised autonomy illusory, and having ‘one country, one system’ in all but name. Above all, the foregoing violations of the Basic Law undermine the guarantee that the policies as embodied by the Basic Law would remain unchanged for 50 years. It is well-settled that laws enacted after an international treaty has been signed should be construed as intending to carry out the obligation (see Lord Diplock in Garland v British Rail Engineering Ltd  2 AC 751, 771). This applies with even greater force to fundamental rights, as an aspect of the rule of law (see Electrolux Home Products Pty Ltd v Australian Workers’ Union  HCA 40 ). The Basic Law read in conjunction with international law obligations requires a system along these lines: civic nomination is a democratic process that allows the people to freely choose any person to be the Chief Executive. This guarantees the equal right to stand for election enshrined by Article 25 of the ICCPR and Article 26 of the Basic Law. A broadly representative nominating committee would then be responsible for checking whether the nominated candidate are legally eligible (e.g. validity of civic nomination, age, criminal records, financial resources), upon satisfaction of which it shall formally nominate the candidate in accordance with Article 45. This is fully constitutional and conforms with the international law obligations of Hong Kong and China. This is the constitutional way forward. In contrast, the Hong Kong Government’s proposal is unconstitutional – it creates a situation where ‘all candidates are equal, but some are more equal than the others’. Can we call this democratic progress at all? I am hopeful that the Foreign Affairs Committee inquiry would acknowledge that the pan-democrat’s proposal for civic nomination is not a violation but a fulfilment of the Basic Law. As the latest Six-Monthly Report rightly noted, ‘the important thing is that the people of Hong Kong have a genuine choice’. 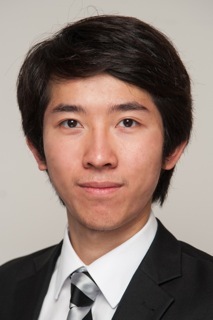 Mathias Cheung is a Research Assistant at Oxford University and a BPTC Student at City Law School. Suggested citation: M. Cheung, ‘The Hong Kong Government’s proposed electoral reform violates the Basic Law and the Sino-British Joint Declaration’ U.K. Const. L. Blog (11th August 2014) (available at http://ukconstitutionallaw.org). The key phrase here is “as applied to Hong Kong”. Successive Hong Kong arguments have argued that the UK’s initial reservation to ICCPR Article 25 entered on behalf of Hong Kong in 1976 remains valid, although the HRC has taken a different view since at least 1995. The HRC took the view that the reservation lapsed in respect of the legislature once there were legislative elections; that same reasoning arguably applies to Chief Executive elections. Thank you for the helpful comment, Alvin. The international law aspects of the electoral reforms are certainly very complex and cannot be fully addressed within the limited space of this brief article, which focuses on the effect of other Basic Law provisions especially when read in conjunction with the Joint Declaration. I look forward to seeing the final product of your research in this area! 1. Article 39(1) of the Basic Law can be read disjunctively, due to the serial comma before the ‘and’. So it can reasonably be construed as referring to (i) the provisions of the ICCPR; (ii) the provisions of the ICESCR; and (iii) the provisions of ‘international labour conventions as applied to Hong Kong’. This would make sense because the phrase ‘as applied to Hong Kong’ serves to disambiguate and isolate the 41 international labour conventions (out of 190 such conventions) applied in Hong Kong. The Labour Department’s list also refers to ‘international labour conventions applied to the HKSAR’. 2. In any event, the effect of Article 25(a) is not encumbered by any reservation, and it guarantees the right to participate in the conduct of public affairs directly (i.e. by standing for election) or through freely-chosen representatives (i.e. voting). This provision itself suffices to show that the Government’s proposal is unlawful, because a nominating committee (however composed) poses a significant risk of filtering out candidates, and the representative is not ‘freely-chosen’ in any meaningful sense. Nor are the rights of ‘every citizen’ to participate directly by standing for election protected, for there would very likely be distinctions based on ‘political opinion’ contrary to paragraph 3 of General Comment No. 25. 3. The reservation to Article 25(b) was entered by the UK for British territory in Hong Kong at that time. Article 21(1)(a) of the Vienna Convention on the Law of Treaties (‘VCLT’) (which reflects customary international law) states that the reservation modifies the legal effect of the provision for the ‘reserving State’ in its relation with the other party. Thus, the reservation only pertains to the UK’s obligation to introduce elections pre-1997. Now that Hong Kong is China’s sovereign territory and a SAR in its own right, the British reservation does not apply to what is now a non-British territory. 4. The above is reinforced by the fact that Chapter III of the Basic Law seeks to translate the core rights of the ICCPR into domestic law. Articles 26 and 45 together provide for the right to vote and stand for election by universal suffrage, analogous to Article 25(b) of the ICCPR. It cannot be that the drafters intended to continue excluding the effect of Article 25(b) of the ICCPR while expressly incorporating it into Hong Kong law. 5. Lastly, Article 19(c) of the VCLT stresses that a reservation cannot be incompatible with the object and purpose of the treaty. The preamble of the ICCPR states that it aims at creating conditions under which every person may enjoy his civil and political rights free from fear or want. Article 25 is the core democratic principle which ensures the rule of law and consistent protection of all human rights. A reservation to Article 25 undermines the entire framework of the ICCPR. As pointed out in General Comment No. 24 (paragraph 7), ‘each of the many articles, and indeed their interplay, secures the objectives of the Covenant’. Moreover, ‘of particular concern are widely formulated reservations which essentially render ineffective all Covenant rights which would require any change in national law to ensure compliance with Covenant obligations’ (paragraph 12) – this would render nugatory the object of the ICCPR in prompting changes in national law to secure human rights. The reservation is thus arguably invalid and severable, and the UNHCR was right to urge Hong Kong to ‘take all necessary measures to implement universal and equal suffrage in conformity with the Covenant as a matter of priority’ in its 2013 Concluding Observations. I hope our voices would be heeded in the upcoming months. This entry was posted on August 11, 2014 by Constitutional Law Group in China, Hong Kong and tagged election law, Hong Kong, Hong Kong - China relations, Hong Kong - elections, House of Commons Foreign Affairs Committee.